For me, Altruda’s is all about people… and homemade salad and garlic rolls. My story started with my mother, Geraldine Ida Altruda. Born in Italy in 1925. She made the journey to America when she was 12. She was the youngest of 13 siblings. Mama Altruda settled in Plainview Long Island, married, and had five boys. We all grew up cooking with mama in the kitchen. From the time I was able to stir a bowl, I began developing what would later become my passion. cousins' homes for a full day of food and fellowship. The homes were filled with conversation, aromas, and delicious Italian food. Reminiscing about those good times, I know why I ended up in the restaurant business. Mama taught me the importance of family. She also taught me the care and attention that needs to go into creating good food. Why make food when you can create a recipe that excites the senses and can be passed like secrets words of wisdom, from one generation to the next. Those secret recipes live on today.  You can enjoy those recipes at our Altruda’s restaurant on North Peters which opened in 1988. The care and attention has not changed for generations. We use only the freshest ingredients. Everything from sauces, salad dressing, to bread is all made from scratch on a daily basis. Our chefs arrive five hours before dinner to begin the process. All of our entrées are made to order to ensure the perfect union of flavors and appearance. Our signature salad dressing contains 18 ingredients precisely measured and dispensed in a specific order that cannot be duplicated. It’s been 30 years now in the restaurant business. I’ve enjoyed every minute. It’s all about salad and homemade garlic rolls. If you take the same care and attention for the small details that you do for the main dish; combine that with a true desire to make people feel like family and life is good. Mama agrees.